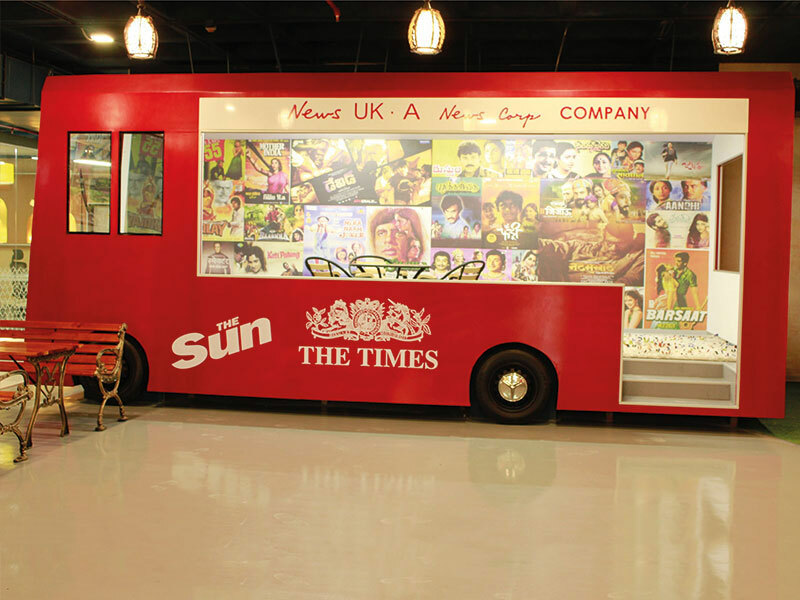 News Corp is one of largest media conglomerates in the world, being associated with brands like 20th Century Fox, News of the World, and Star Sports, and its technology arm in Bangalore has an office to match. 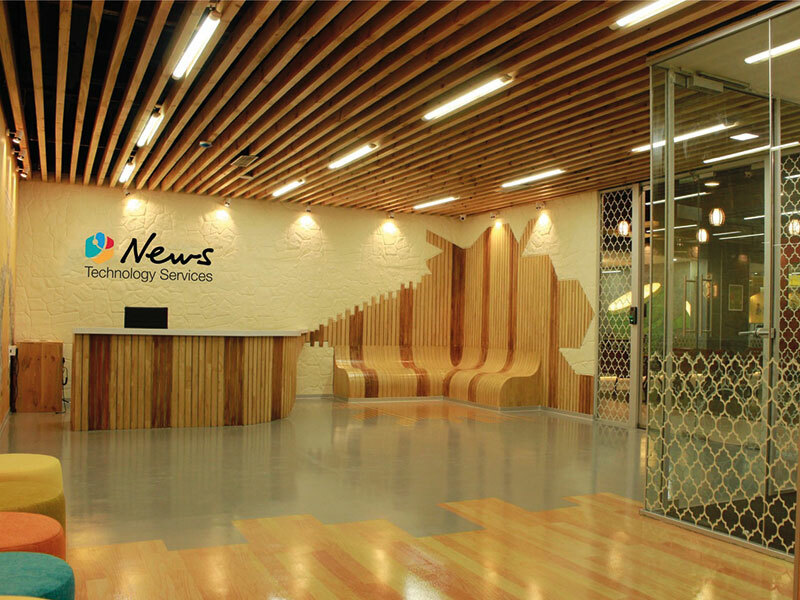 News Technology Services (NTS) handles News Corp’s global technology strategy, and is responsible for the company’s web development, application support, infrastructure management and cyber operations. Its office in Electronic City in Bangalore is spread across 30,000 square feet, and houses 250 employees including IT engineers, software developers, data technicians, network engineers and cyber experts. And for a technology center for a global media company, NTS’s office is pretty spectacular. 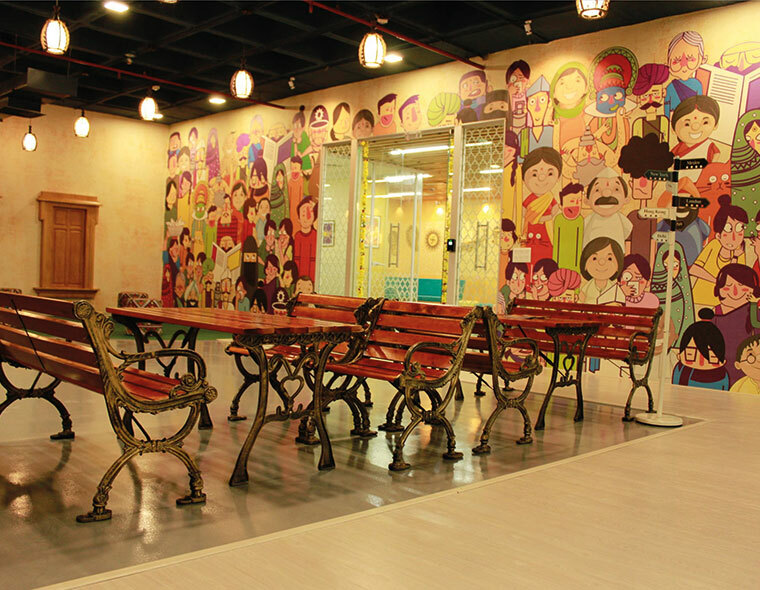 Different parts of the office represent different cultures in India — this seating area is designed like a Delhi bus stop, with Bollywood posters stuck on the background. 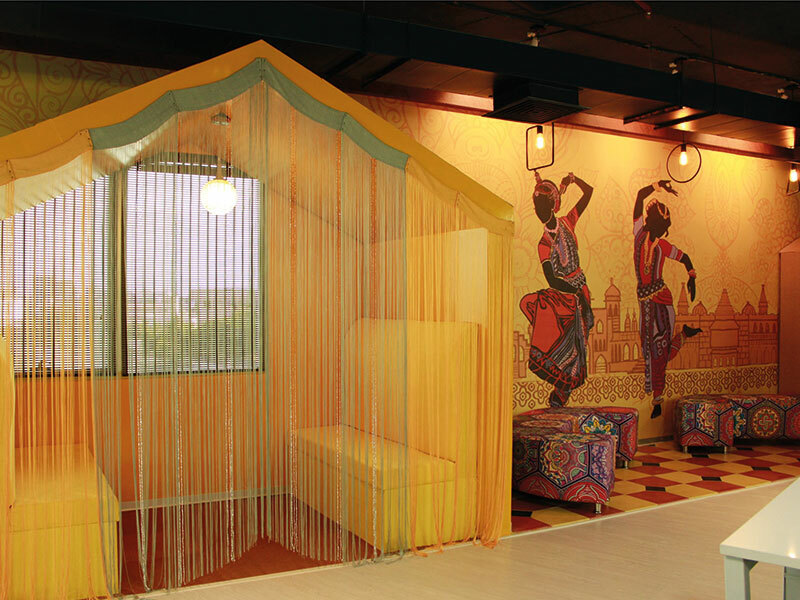 “I always wanted the office to look cool in the Indian way. It shouldn’t look like another typical Indian IT company,” says NTS’s MD Rajan Parasuraman. 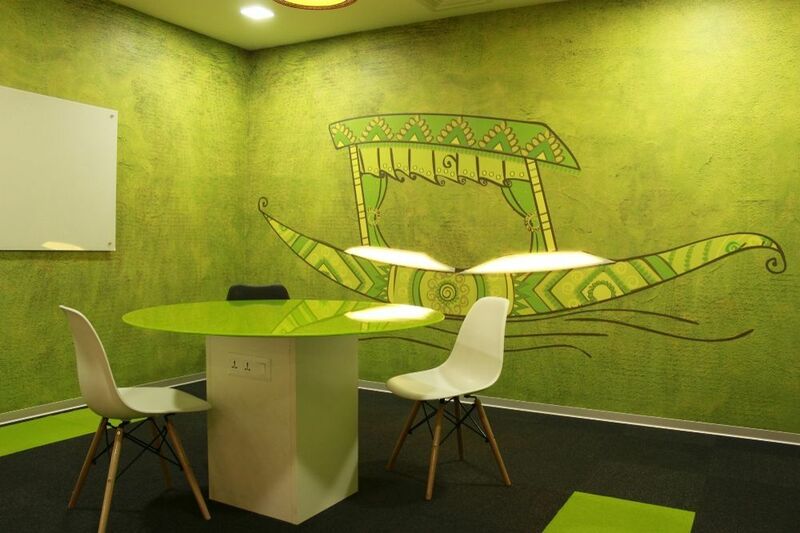 The cafeteria in the office, then, is Kerala-themed, where employees get served lunch and dinner, and this little seating area draws inspiration from Kashmir with a little green houseboat. This break out area has a fully-usable tent with classical dance forms in the background. Even the washrooms have a touch of style. The office also boasts of a large amphitheatre which doubles up as a training room. And while the tree might give the impression of working at a village square, the amphitheatre is designed to get work done, with lots of convenient power points and even little indentations for keeping laptops. 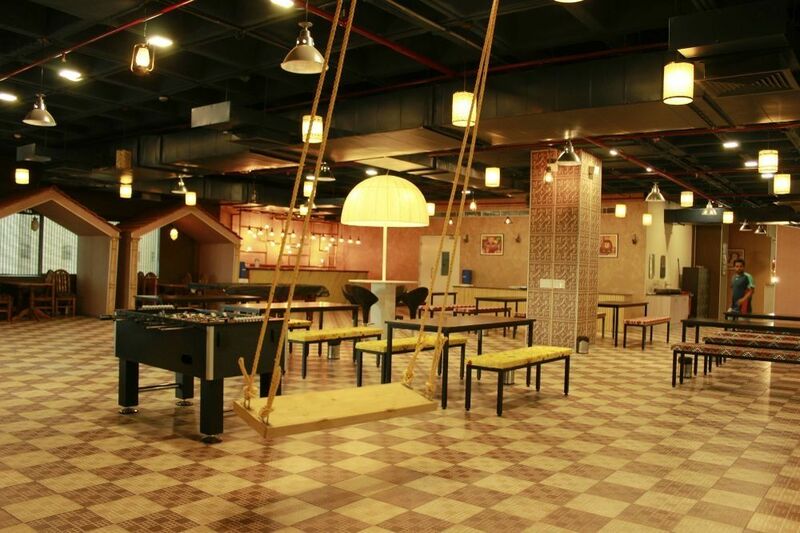 Employees can unwind through games of pool or foosball. 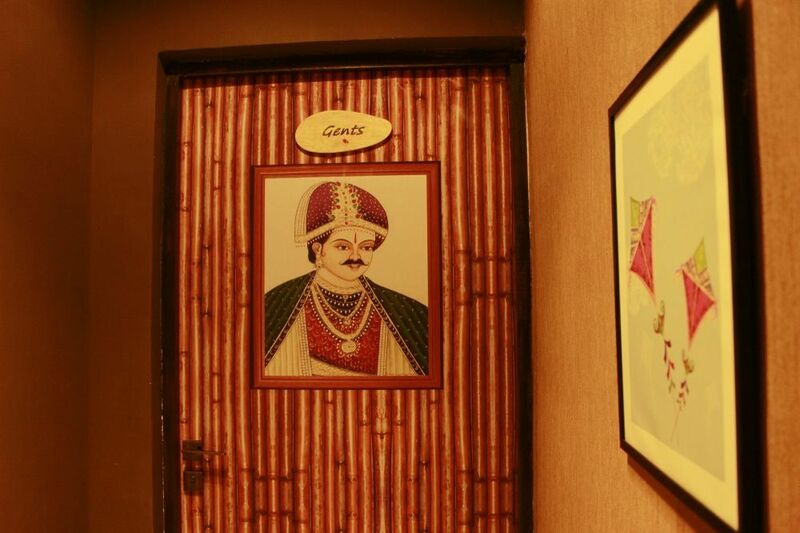 The office also claims to be India’s first to have a jacuzzi and a spa. 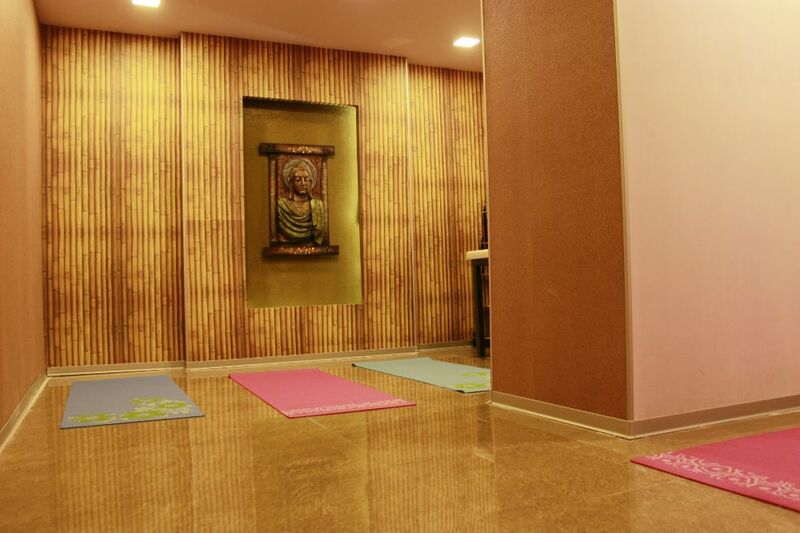 And the really stressed out can unwind in the spartan but stylish meditation room. 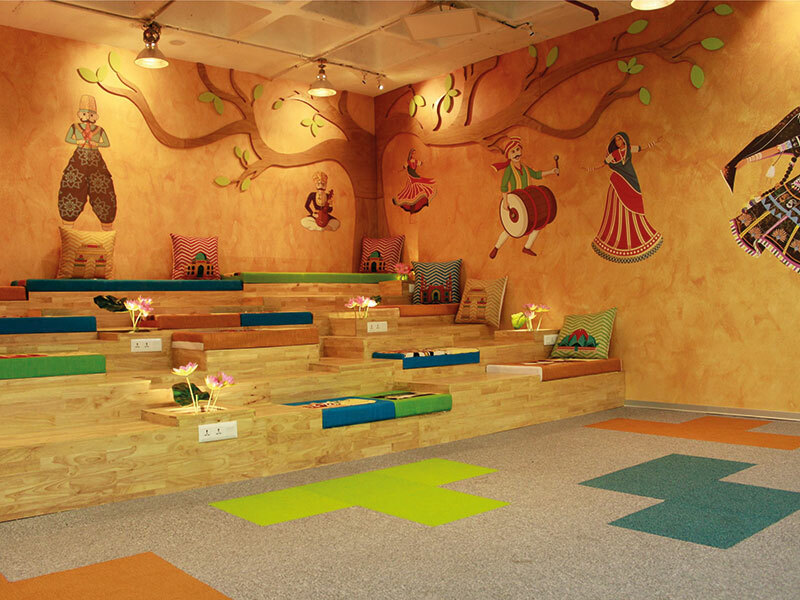 The office has been designed by IIT Bombay alumni-founded company Flipspaces, and Parasuraman is clearly happy with the results. “Whenever a prospective client visits our office, the culture and the trendy vibes implant a sense of positivity and confidence. This office brings about more transparency not only among employees, but also between the client and the company,” he says.